3 Sigma MBS: 9,150 Lbs. 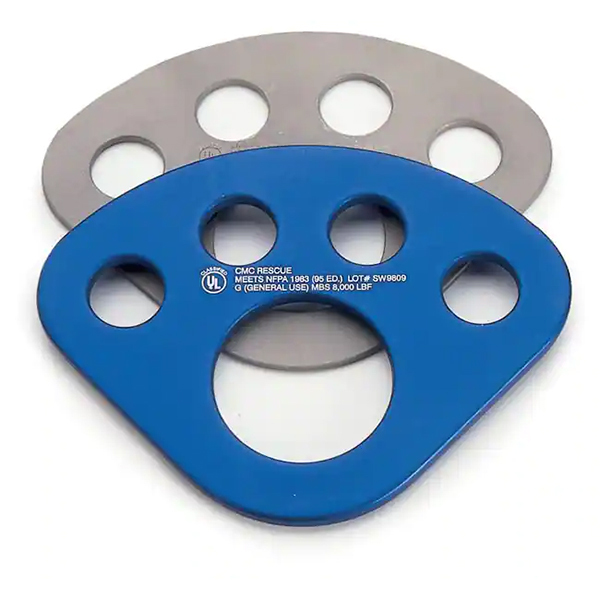 The CMC Anchor Plate keeps the carabiners holding the different parts of your rescue system from jamming together. The hardware becomes easier to see, making safety checks more accurate. It can also keep you from clipping a carabiner into the wrong loop of the anchor webbing. For anchor systems, it makes an excellent collection point. We use the Anchor Plate in CMC Rope Rescue classes. Our students set up their systems faster, with fewer mistakes. Hole Diameter: Small - 7/8 inch, Large - 2 inches.